however I noticed there is a programme on TV tomorrow (Tuesday night) - think ITV4 about Triumph motorbikes. I have watched all three, the Norton edition on catch up last night. Whilst Henry Cole is not everyone’s cup of tea ( mine included) these three specials are well constructed and take you through each marque really well. The Triumph enthusiast from Kent with his first editions must be seriously minted. I have some damage to my right ear, which rattles painfully at very loud noises. I wear ear plugs when I know I'm going to be somewhere noisy (pit lane at a motor race, for example) but having a bike with a really loud exhaust suddenly overtake me with a bucketful of throttle is agony. Ah, glad it's not just me! My hearing is generally OK - left ear has better hearing than the right and has been since my 20's - but my left "clips" like a cheap speaker being driven too hard at high volumes. I suspect that 2 bits that are supposed to be stuck to each other are simply resting against each other which works at low volumes but less so at high volumes. NHS has determined that my hearing at low volumes is fine, and that seems to be the limit of their tests, though I'm not sure that there's anything they could do to fix the inner ear when earplugs help and don't cost the NHS anything.. Which gets me to earplugs, which I carry with me constantly and use a lot. The key things I've learnt is that plugs must fit well and be comfortable. Sound obvious but isn't necessarily easy to achieve. I tried an expensive set of moulded plugs that were great as long as I held my jaw in exactly the same position as it was in when the plugs were made. Not good. Held on to them for a while but eventually gave in and consigned them to the bin. Like others here, I've tried Flare audio and have both Isolate Pro Titanium and Isolate Pro Mini Titanium plugs. I think the advertising for these is somewhat over the top. They work OK with careful positioning in the ear, but I find them uncomfortable to use for any period of time. Great for popping in and out in the office but not on a ride on the bike. I do carry them in my pocket all the time, though I also have MaxLites in the same bag and if I'm doing anything that isn't going to require me to take them out to talk to people, I use the MaxLites. For motorcycle use, I'd seriously recommend getting a pick-n-mix selection, finding which suits you and learning to put them in correctly. 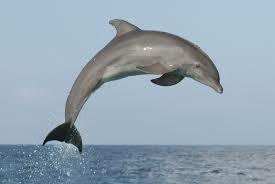 They are quiet, comfortable and adapt to the shape of your ear as you move. And they're dirt cheap by comparison. I have to admit, I've had a little bit of tinnitus since I started riding again, and now and again it's more than a little bit (although I'm so conscious of it that I probably exaggerate it in my own mind). In any event, I've just started wearing some mid-priced foam plugs and the difference is massive. I'm certainly going to persist with them, although at the moment I'm not sure that anything other than the cheapish ones are necessary. Thank you. I'll buy a bag and give them a proper go. I have used the Ultimate ears ones, they are brilliant, but as one chap said above, if I have them in for an hour or so, and I do trips to France, I suddenly find one side cracking a gap if I move my jaw, and from then they are really annoying as my ears are suddenly unbalanced. They have been back to base twice for adjustments, they got better but never perfect so eventually I gave up. There is a little corner in hell reserved for bikers who wear ear plugs to protect their own ears; and then fit a race can so they can live their Fogarty fantasy. If your bike ain't loud enough on standard pipes, then ride/rev it harder. "But, but but ........Loud pipes save lives!" Yeah, cos no one ever had a collision with an emergency vehicle on " Blues and two's" did they? Scroll up. It’s not engine / exhaust noise that damages bikers hearing. Your ear canals change shape quite a bit in life - if the plugs are not sufficiently pliable, then you will either suffer discomfort and or poor fit. Scroll up, ones self Sir. I am well aware of that. "..........but having a bike with a really loud exhaust suddenly overtake me with a bucketful of throttle is agony". To be fair, I just find them kinda embarrassing; like boy racers with wide boy exhausts on their Corsa's; but more so, cos the kid in the Corsa actually needs that extra 3bhp. Anyone on a decent bike doesn't need the extra power and just wants to be looked at (or plug a torque curve flat spot that they could learn to ride around)....... which is odd; as if you were really travelling that fast you'd want to be under the radar. To be fair, he’s a sensitive soul. Last edited by downer; 23rd December 2018 at 11:28. Don't think ear defenders will do much good now. You’d be incorrect with that conclusion..
Having worked in Remploy with many deaf colleagues, it was a constant battle for me to get them to wear hearing protection in the machine shop.... “I’m deaf anyway so it can’t do me any harm” was the often given excuse when I had to yet again pull a deaf employee up for not wearing their ear defenders..
Basically, as noise is a form of energy, exposure to that energy will continue to enter the ear canal and cause damage to the point that profoundly deaf people will eventually go on to develop tinnitus. Tinnitus causes misery, so as you’d wear a helmet to protect your head, and boots and gloves to protect you feet and hands. My recommendation is to wear hearing protection as much as possible when on a motorcycle.. Thanks for that, makes more sense now you have explained it. Better late than never to wear ear plugs I guess. You’re welcome...no matter how much hearing loss you’ve already suffered (I have some loss too), it’s always better to use protection.. Anybody need anything from Infinity? I have a £66.00 voucher / credit note that I'm unlikely to use before it expires 4th March. Love my Akra full system but also love my ear plugs. Tbf I would use ear plugs even on an OEM exhaust as I think a lot of the time it's the wind noise on the helmet which hurts hearing, not always the exhaust. Get fitted plugs,whatever your helmet or exhaust wear plugs it’s just foolish not to. Whatever they cost it’s less than buying your hearing back,which you can’t. Ears grow over the years so my old ones don’t fit now,I am also using a special cream for total comfort nowadays. Can't you just use some spit? I did before the creams better. Mod 2 passed today on first attempt with one minor (delayed indication). I’ll take that. Now the fun part of bike shopping starts! Congratulations and in time to get good deals on a bike while the weather is awful! FYI the interpretation of "waterproof" in motorcycle clothing is very subjective. Goretex is the only name you can really trust. Thanks mate. I hold you and this thread (partially) responsible! Looking forward to warmer weather now - although in a way I am glad I went through this in winter as it was good to gain confidence. Cheers! Yup, budget creep is already in full swing under the ‘winter’ deals available! I am just a few months ahead of you but already have 3 bikes in the garage. I see you are in the SW, are you going to the Bath and West classic bike show this weekend? Yes I can see how that could happen! Wasn't aware of that show at the B&W but yes that looks worth a trip. Thanks for the tip. Slightly less power than my Street Triple, but sexier by far. Luckily, I'm completely skint. Check out the MV Agusta Brutale, Tony. ........... Luckily, I'm completely skint. Haven't ridden the MV, but have ridden the 821, imho the 765 Stripple is the better bike. 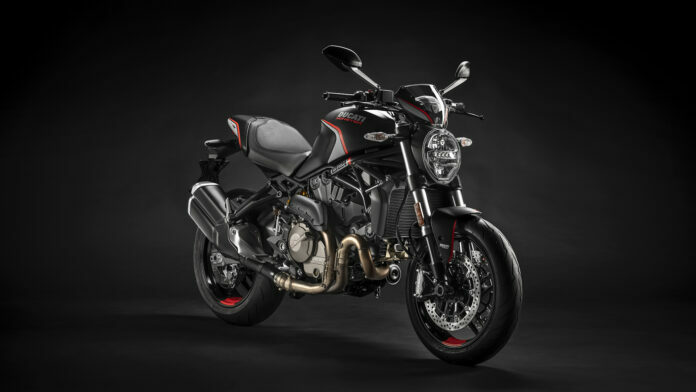 I'm finding myself drooling over the Monster 821 Stealth... it's a great size for me, too Slightly less power than my Street Triple, but sexier by far. Luckily, I'm completely skint. A good way to learn the meaning of discomfort. Last edited by Skyman; 12th February 2019 at 18:33. Based on their Moto 2 race bike too! It’ll be a cracker and no doubt they’ll put it in the street triple too.